While many adults may think that orthodontic treatment is just for children, the fact is that the Columbus Orthodontic Center is actually able to help many adults who previously thought it was too late to straighten their teeth. We offer traditional braces as well as more aesthetically-focused options such as Invisalign, clear braces, self-ligating braces, and lingual (hidden) braces. We have a wide array of treatment options that can be used to straighten everything from a single tooth to an entire smile… no matter a patient’s age. Plus, we also have the technology, like AcceleDent, that can be used to drastically shorten treatment times. 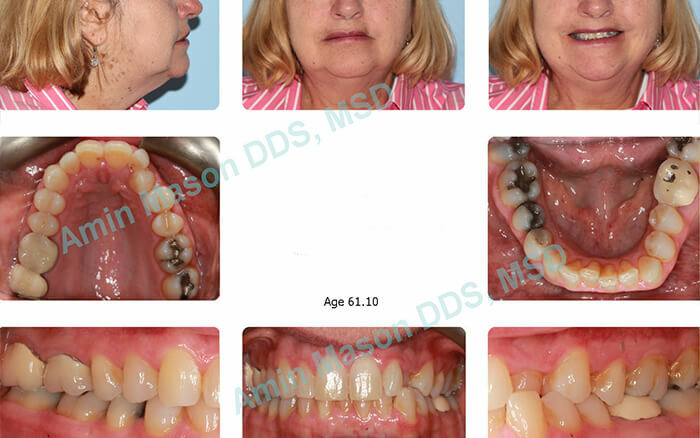 It is never too late to straighten your teeth; we even have patients in their 60s and 70s! The rate of tooth movement during treatment for adults is slower than it is for young children, but it’s just as fast as teens. Adults undergoing orthodontic treatment may be required to have more frequent dental cleanings. Orthodontic treatment can be used to prevent or improve periodontal (gum) problems. Adult orthodontic treatment can be used to prevent or lessen bone loss around the teeth. Adult orthodontic treatment makes it easier for a dentist to restore missing teeth. 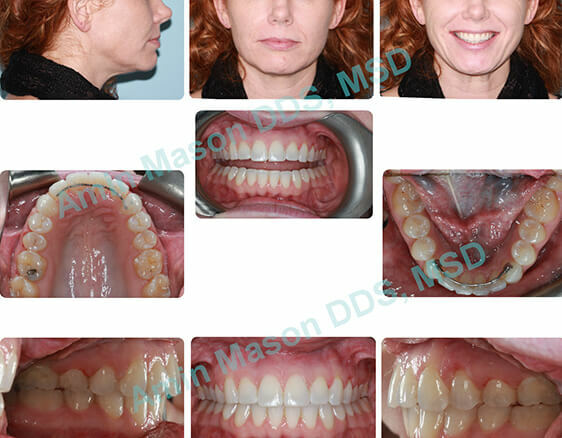 Adult orthodontic treatment can dramatically improve the appearance of a patient’s smile. Adult orthodontic treatment can lead to improved oral function (biting, chewing, and speaking). 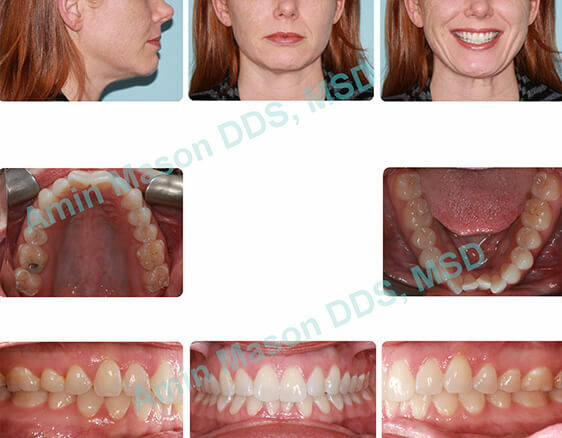 Adult orthodontic treatment can lead to the improvement of both self-confidence and self-esteem. 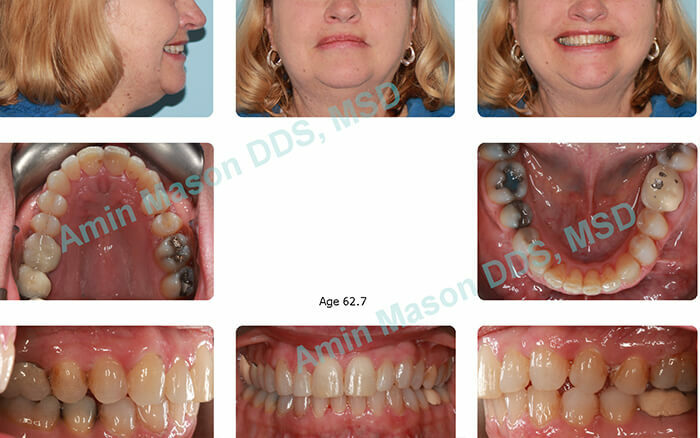 And lastly, adult orthodontic treatment can be used to improve a patient’s overall oral health. The patient was only interested in the treatment of upper left canine tooth. The patient had limited treatment for only 8 months. An adult patient with upper/lower crowding and deep bite. 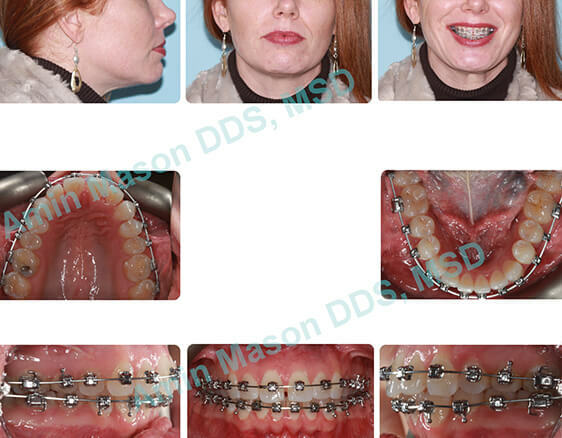 The patient was treated with Self-Ligating braces. If you are an adult, it’s never too late to get the smile you’ve always wanted. To see which orthodontic treatment is right for you, please contact our office today for a consultation.